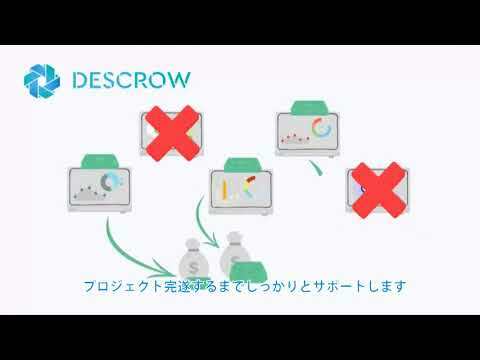 Descrow is a global secure crowdfunding platform. DES platform provides investors with the opportunity to participate in the life of the project they trusted their money. If the majority of token holders decide that the project does not fulfill its obligations, they can vote to stop further financing and save part of their funds. Project is designed to bring clarity and transparency to the process of ICO-funding, which means it will be in demand at the market. Our potential users are both investors and startups from all over the world. Blockchain has proved its worth as a decentralized distributed ledger and growing worldwide interest in this subject testifies it directly. and truly global scale also stands in the way of global changes and adjustment to the new e-commerce paradigm. DES keeps up with the times, catches the market movement and will be a necessary deputy in the new economy development. The ICO phenomenon has started to play a significant role in the crypto-startup world. Lately, more and more experts are looking to decentralized crowd-funding methods with interest. But, the ICO market is at its early stage of development and there are no legal guidelines governing the process. As a result, there are a lot of scams. Undoubtedly, the ICO market legal framework requires expert arrangements. This question is on the agenda for all developed countries. Estonia, for example, plans to create an Agency for cryptocurrency capital market. But even today, in the absence of government regulations, we have an instrument which solves the problem seamlessly – decentralized escrow. It is exactly this direction that Descrow is working in. The platform creates an environment, which is unsuitable for any kind of scam and dishonest attitudes to the obligations. Advantageous conditions created by Descrow team allow building trust-based relations between the startup and investors. There is a clearly defined and understood business model. WP is a well-written, but the idea of DEST token needs to be explained in more detail. DES token has a clear economy and its use in the project’s eco-system is justified. The team and advisors have an adequate professional experience. The project is backed by the community in the Telegram chat (290 participants), Twitter (more than 1200 followers), Facebook (around 6k followers). There is an active threads in the Bitcoin forum. All in all, I’m excited about the project and support a good implementation of blockchain in decentralized escrow platform.